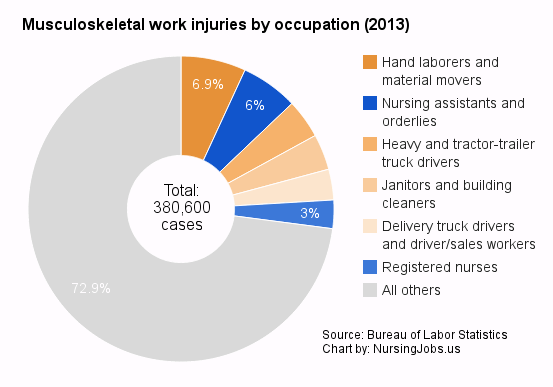 NPR conducted an in-depth investigation into the working conditions of nurses, focusing specifically on how nurses suffer a shockingly disproportional number of back injuries. 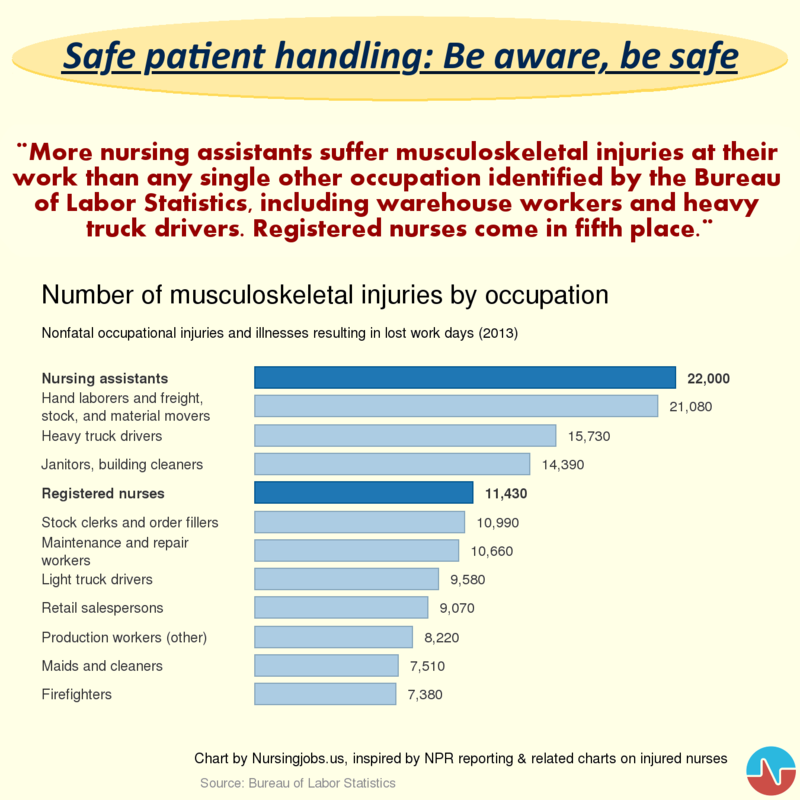 The authors concluded that “nursing employees suffer more debilitating back and other injuries than almost any other occupation — and they get those injuries mainly from doing the everyday tasks of lifting and moving patients”. The post does some follow-up work too, describing some of the impact the NPR stories had, and taking a closer look at one of the hospitals where the reporters found management to have treated injured nurses particularly callously. 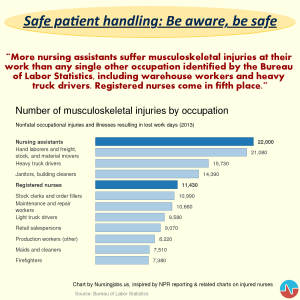 The writer also observes that the NPR stories haven’t been the only recent reporting about the health risks nurses face. 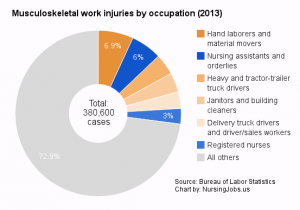 Nurses working rotating night shifts have an increased risk of death from cardiovascular disease and lung cancer, recent research has found; nurses suffer depression at twice the rate of the national population; and health care and social assistance workers in general are four times as likely to suffer an injury or illness because of violence at the workplace as other workers.